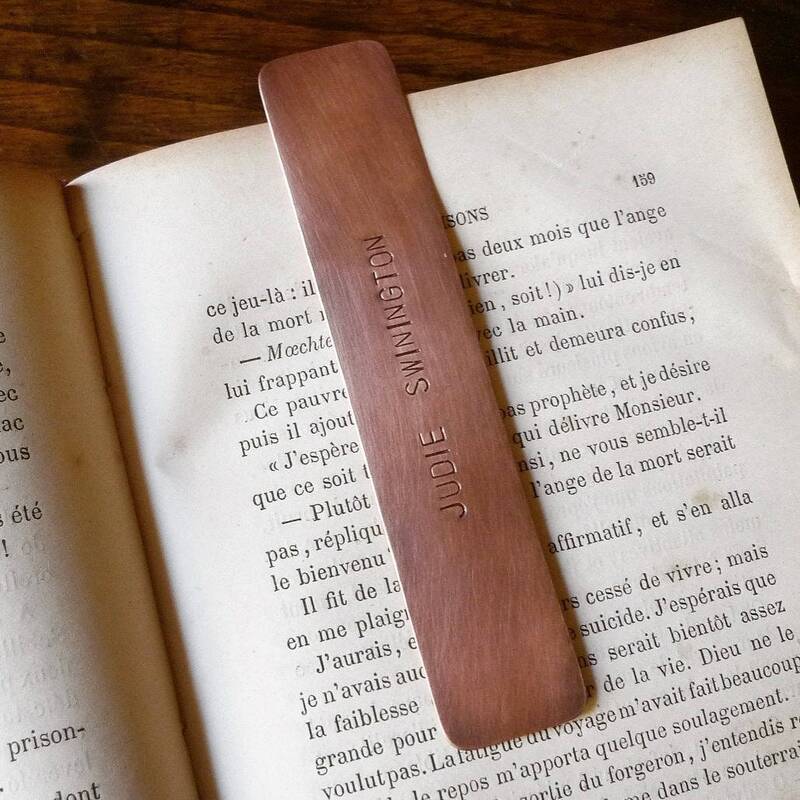 Personalized copper bookmark keepsake. Each letter of text is individually hand stamped using a hammer and letter punch! Old world charm perfect to give as a gift for those still reading old school books. COPPER: 8mm thick, lightly brushed finish, option for no patina, light patina or dark patina. NOTE: Copper will take on its own patina over time if not polished regularly. Personalized items cannot be returned unless the shop owner made an error. Please be sure to provide correct spelling and formatting and check your messages for questions and a proof photo to ensure a worry-free purchase.